I love to exfoliate. Body, face, lips: I’ll do it all. In fact, if I made a list of my favourite lazy Sunday activities, it would include a long, rigorous exfoliating session. In the past year, however, my skin has gradually become more sensitive and prone to irritation. Turns out, the main culprit is that I was doing too much to it (can any other skincare fanatics relate?). This realisation resulted in me swapping out harsh scrubs for gentle creams and lush facial oils, but I just wasn’t into it. Don’t get me wrong, it’s delightful to slather a buttery lotion across my complexion, but honestly, I truly missed using products that gave me that deep-clean feeling (not squeaky-clean per se, but rather refreshed and invigorated). 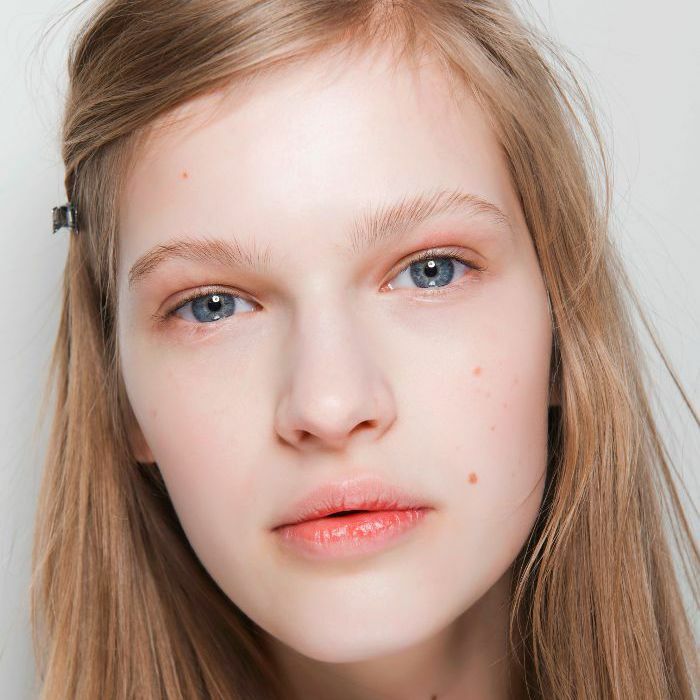 I asked around, and trialed a stack of new recommendations, but couldn’t find anything that really delivered the results I wanted without irritating my skin. 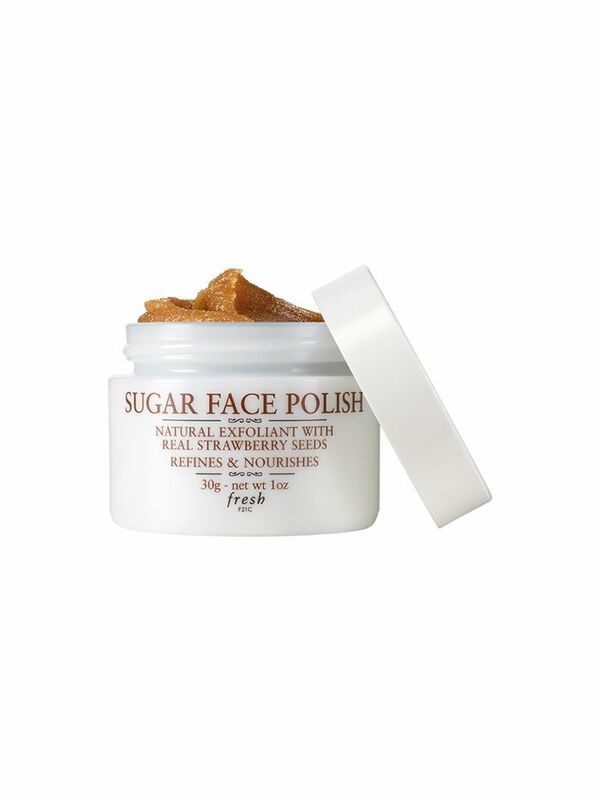 But one day, on a whim at Sephora, I picked up a jar of Fresh’s Sugar Face Polish ($88), and it was love at first use. I have a lot of Fresh products in my regular rotation, but this one is desert-island status. It was the aesthetic that originally caught my eye—because, to be frank, I’m a sucker for packaging. And on that front, Fresh delivers in spades. The luxe ceramic container wouldn’t look out of place in a French bathroom, and the jar itself has a wonderful weighty feel to it. And as for the contents, Fresh aren’t strangers to the use of sugar—it’s actually the star ingredient in part of the range. With a sophisticated, syrupy texture, the polish is a perfect mixture of smoothing and hydrating—and what’s more, yields immediate results. To apply, I start with a thoroughly cleansed, slightly damp face. Next, I smooth an almond-sized amount of the polish evenly across my skin, and while many physical exfoliants can be difficult to spread, this one glides with ease. After application, I let it sit for ten minutes to amplify the results, then I gently rinse with warm water. Thanks to a genius combination of brown sugar, strawberry seeds, and plum seed oil, the polish smells like an actual dessert. The strawberries offer a boost of vitamin C, working hard to slough off dead skin cells. Plum seed and grapeseed oils are luxuriously nourishing, giving the formula a hydrating base while plumping the skin. The latter contains linoleic acid, too, which helps skin’s natural collagen and elastin. The result? Soft, smooth, and even skin, without so much as a hint of redness or sensitivity. From the delicious scent to the undeniable results, there’s so much to love about this product—and I can’t see myself ever being without it.